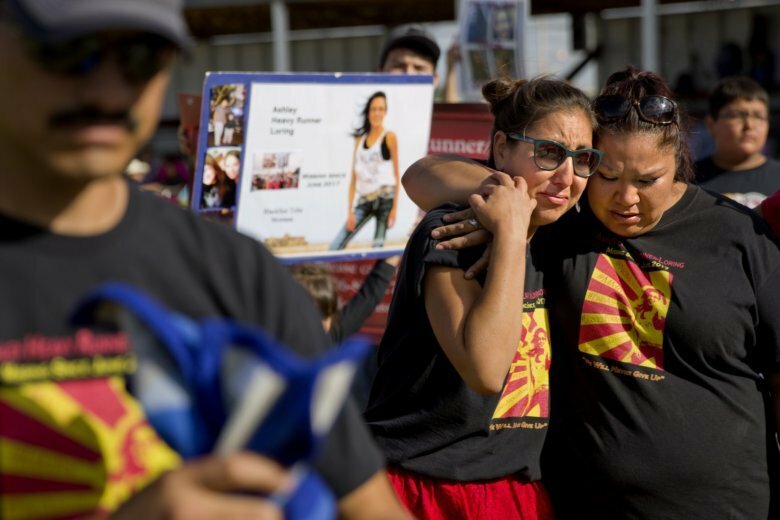 A U.S. Senate committee has approved a bill aimed at addressing the high number of missing and murdered Native American women. The U.S. Senate Committee on Indian Affairs approved Savanna’s Act on Wednesday, sending it to the full Senate for consideration. The measure would expand tribal access to federal crime databases and establish protocols for handling cases of missing and murdered Native Americans. It also would require annual reports on the number of missing and murdered Native American women amid concerns that inadequate data collection has stifled efforts to measure the full scope of the problem. The bill is named for 22-year-old Savanna LaFontaine-Greywind, who was slain in 2017 while eight months pregnant. Its sponsor Sen. Heidi Heitkamp, a North Dakota Democrat, lost her bid for re-election last week. A study released by a Native American nonprofit says numerous police departments in cities nationwide are not adequately identifying or reporting cases of missing and murdered indigenous women. In a report released Wednesday, the Seattle-based Urban Indian Health Institute says researchers found some 500 missing persons and homicide cases involving Native American women in 71 cities. The cases were identified through limited police data that researchers obtained through public records requests and media reports. Researchers say they expect their figure represents an undercount because some police departments in cities with substantial Native American populations, including Albuquerque, did not respond to their requests for figures, and because Native American women are often identified as belonging to another race. The report recommends measures for better data collection training and requirements.